Successfully Added Notebook Web Camera - 1.3M CMOS Sensor + Vista Compatible to your Shopping Cart. Web Camera designed for mounting on a laptop/ notebook screen; complete compatibility with all Windows versions including Vista. 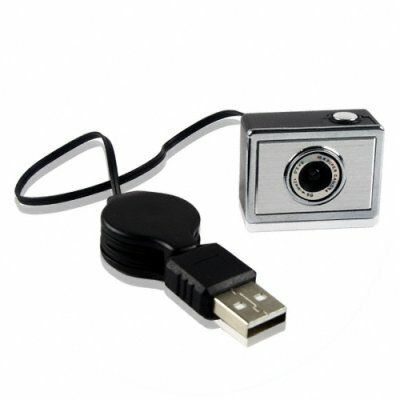 This great mini webcam has a adjustable pinch clip that will easily and securely attach to any standard laptop screen. Simply install the drivers from the CD, plug in the USB cable, and you will be ready for chatting or taking great quality 1.3M pixel pictures. This is a notebook accessory perfect for any laptop owner who is tired of lugging around bigger sized web cameras better suited to a desktop, and is available in any quantity you require 1-1000 pieces at Chinavasion's low wholesale price.